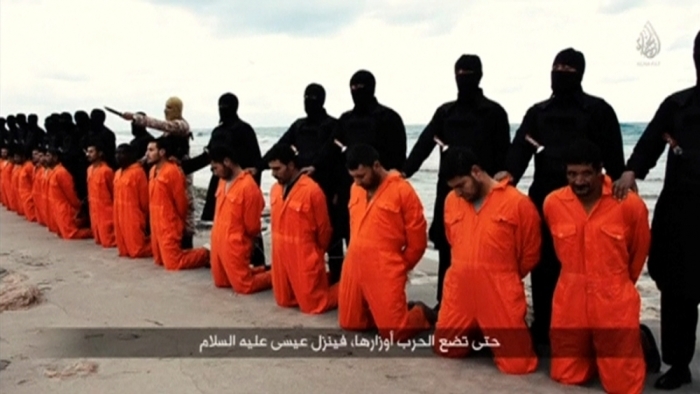 A new book to be released Friday takes a look at the lives of the 21 Christian men the world saw being beheaded on a Libyan beach in 2015 and how their deaths at the hands of the Islamic State only strengthened the faith of believers in their hometown. Martyrs are the seeds of Christianity. The brutal death of these men has served to reveal the true nature of the god of Islam. The world was appalled when the brutal terrorist group released footage showing the 21 men — all but one being migrants from Egypt — being led to the shore of a Libyan beach near Sirte dressed in orange jumpsuits. The video came at the height of the Islamic State’s reign of terror that wreaked havoc in places like Iraq, Syria, Afghanistan, Egypt, and Libya and showcased how brutal and atrocious the jihadi death cult could be. Iconic photographs and screenshots taken from that Islamic State propaganda video are all over the internet showing the 21 men on their knees with their backs toward the Mediterranean Sea. Behind each of the 21 men was an Islamic State militant standing with a knife that would be used to cut off their heads, thus sending a message to the world. Four years later, the martyrdom of those 21 men is not forgotten in Upper Egypt as all 21 have been canonised as martyr saints by the Coptic Church. 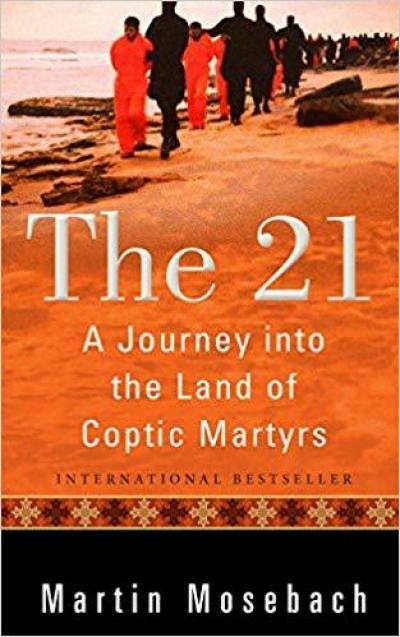 The new book, The 21 – A Journey into the Land of Coptic Martyrs, is the account of Mosebach’s journey to El-Aour. “It is a very dirty village. It is a very poor and primitive village,” Mosebach explained, adding that the Coptic villagers there are very strong and knowledgeable in their faith. Although Christians in Upper Egypt are always under the threat of persecution, as Egypt has been under Islamic rule for 1,400 years, the faith of the Coptic Church as founded by St. Mark has been unwavering and continues to remain strong today, according to Mosebach. According to Mosebach, numerous miracle stories have built up around the 21 martyrs in El-Aour. Some stories include the martyrs being credited with saving children who fall out of windows, curing sick people and even healing a woman of infertility. “Miracles didn’t save the  from decapitation but did prove that their sacrifices had made them Christlike and therefore accepted as such,” Mosebach wrote. One miracle involved the son of one of the martyrs. The son was said to have fallen onto the street from the third floor of a building, causing him to break his arm in multiple places. When the son regained consciousness, he claimed that his now-dead father had caught him. Days later, the son’s X-rays reportedly did not show any fractures. Although the Coptic community has faced much persecution throughout its history that continues today, Mosebach explained that Copts do not consider themselves to be victims and do not seek revenge. He added that the villagers in El-Aour are proud of the martyrs for standing strong and dying for their faiths. The mothers who lost their sons at the hands of the Islamic State know that their sons are now “crowned kings in Heaven,” Mosebach said. Although El-Aour is a poor and primitive village, it is now a destination for Coptic Christians across the region. Following the beheading of the 21 Copts, Egypt President Abdel Fattah el-Sisi ordered the construction of The Church of the Martyrs of Faith and Homeland in El-Aour. The church has become a pilgrimage site as it is the final resting spot for the bodies of the Coptic martyrs. According to Mosebach, some Christians travel as far as 350 miles to come to see the church. “Now it has become a real pilgrimage village, with a hotel and stops to buy pictures and memories of the martyred,” Mosebach said of Al-Aour. Mosebach’s book was originally published in German last year. It will be released in English for the first time on Friday.